Great card design. That looks like real lemonade too. This is fabulous, Nancy. The softening of the lemons with vellum was a terrific idea. Nancy, this is so soft and springy looking. A nice change from all of the Christmas cards. Love the colors. Oh wow, this is so stinkin’ CUTE!!! 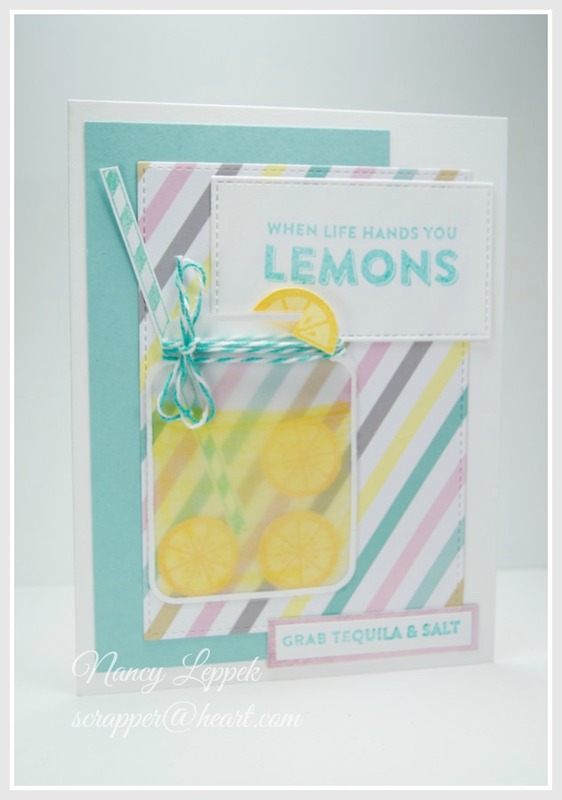 LOVE that you have used the vellum and those lemons just make my mouth water. I really, really like this card, it’s perfect for the challenge!!! Well done! Haha! Love the sentiment! And the liquid in your jar looks so real! Fabulous card! Your card looks amazing! That jar of lemonade (with a bit of tequila) looks good enough to drink! LOL! Fabulous soft cooling colours and I really need cooling down at present. The vellum finishes it off perfectly. 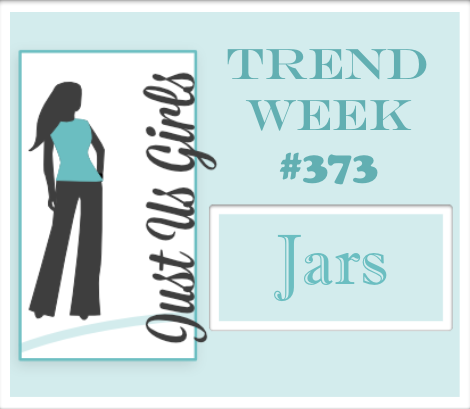 Love your take on our Jars challenge this week Nancy. That sentiment paired with your delicious looking jar of lemonade (straw included) is awesome! Love the soft, fresh colors, too.